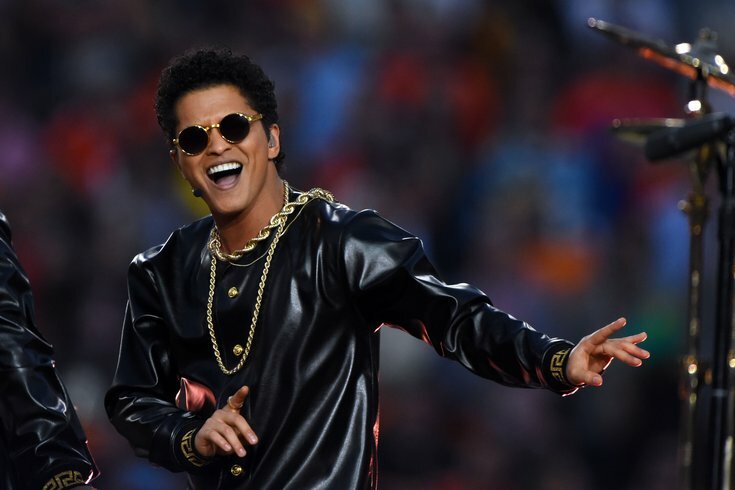 Feb 7, 2016; Santa Clara, CA, USA; Recording artist Bruno Mars performs during halftime between the Carolina Panthers and the Denver Broncos in Super Bowl 50 at Levi's Stadium. This weekend, Jay-Z's Made in America music festival, with headliners Meek Mill, Post Malone and Nicki Minaj, will close out summer. There are plenty of concerts to look forward to this fall, though. In September, Elton John, Ed Sheeran, Bruno Mars, Drake with Migos, Niall Horan and many more big-name artists will perform in Philly. Then, in October, J.Cole, Maroon 5, Florence and the Machine and others will take the stage. Below, we've rounded up the early fall concerts to have on your radar. Even if you don't like concerts (Say, what? ), this guide could come in handy when you're wondering "Why, why, is there so much traffic in the city right now?"